What does all of this mean? 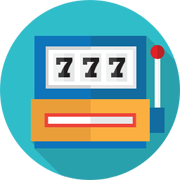 Here is some information to make your casino experience a little better. In poker, the Royal Flush is the hand you are striving for. That means you have the Ace, King, Queen, Jack, and 10 all in the same suit. Royal Flushes will get you some angry stares from the competition. Next, you have the Straight Flush. A Straight Flush is simply having five cards in order in the same suit. (Ex. 7-8-9-10-J) Either a Straight Flush or Straight means that the Ace can either be the high or low card. (Ex. A-K-Q-J-T) However, wraparounds are not allowed. (Ex. K-A-2-3-4) This is considered a wraparound and is not a Straight. That brings us to the Four of a Kind hand. This means that you have four cards of the same rank in your suit. (Ex. Four Kings or Four Queens) Let’s say two people each have a Four of a Kind suit. The Four of a Kind with the highest rank wins. One of the more popular hands is the Full House. Simply put, three of a kind and pair. (Ex. K-K-K-2-2) In the event of Full House tie, the tie would be broken by the three of a kind. Now we have the Flush. A Flush Hand means that all the cards are of the same suit. The Straight hand is having all five cards in rank order. However, the cards are not of the same suit. In the event of two Straights having the same value, the pot is split. 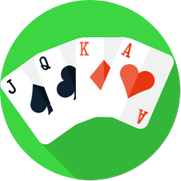 The Two Pair hand means the player has two different card pairs, along with a fifth card. The tie-breaker goes to highest ranking pair. The Pair hand is one pair with three different cards. The highest ranked pair wins the game. Finally, we have the High Card hand. The High Card hand is generally the last resort when none of the above hand stipulations are met. Simply, the highest card wins. In case of a tie, play continues down from the third, fourth, and fifth cards.